In the “olden days”, before the Internet, businesses used to take considerable efforts to understand each individual customer. Often, though, this was at a subconscious level; sales staff did it without realising it. For instance, they would ask questions, they would get to know the customer and they would respond to non-verbal feedback from the people in their shop or office. Indeed, good sales people went out of their way to understand each individual customer. Nowadays, the whole world of online business has largely eliminated this subconscious, human analysis and understanding of the people we are selling to. Instead of working out what each customer really wants from them, many businesses simply “dump” every possible product or solution on a website and then let the hapless customer sort it out for themselves. Back in the “olden days” that would be like giving your customers a pile of bits of paper with details printed on them of every product and service and then simply saying to the people “sort it our yourself”. Businesses never did that in the “olden days” – they “pre-sorted” all the information, providing customers with exactly what they wanted. How did that happen? Sales staff spent time understanding each individual customer, getting to know their needs and finding out the specific things they were interested in. So how can you understand the behaviour of your online customers, to get “inside their head”, just like you did in the “olden days”? Here are five ways of doing that. It’s all too tempting to use online forms, emails and comments to get “feedback” from your customers online. But these methods do not really let you get as far inside their thinking as a conversation would do. Talking to people – even in a wholly online business – is helpful. As anyone who has used focus groups before will know, they do not give you the whole picture because in reality they are far from focused, have potential for bias and are not fully representative – but they do help shape your thinking. Speaking to customers alerts you to the ways your customers behave and provides a stimulus for thinking about your business. You cannot easily get such thought-provoking information from metrics and analytics. Only talking to people can do this. People do not always use your web pages in predictable ways and often do not travel around your web pages in the ways you envisaged. You need to understand how your visitors use your web pages and so you need to track their eye and mouse movements that reflect this. If you can afford it, eye-tracking studies are a help. But a more practical and cost-effective way is to generate heatmaps showing page by page activity on your website. Two companies that offer this are Crazy Egg and Clicktale. Instead of creating a web page that provides just information about your products or services with no further action required, ensure that your pages have multiple action possibilities. Instead of one “call to action” on a page, have two, leading to distinct and obviously different outcomes. One may lead to a “buy now” kind of action while another may lead to a “more information” action. Different behaviour pathways will alert you to the kind of customers you are attracting – those, for instance, that want instant outcomes, or those who are more cautious individuals. Pictures, headlines and even the text on a page can appeal to different kinds of customers in different ways. Split testing the images or the headlines, for instance, can let you know what kind of people are using your website. Some people, for instance, prefer empathy in the headlines, whereas others have a more analytical approach to buying and prefer your page headings to be more intellectual in approach. Do you know exactly which kind of people your products and services attract the most? Split testing headlines, for instance, can lead you to a greater understanding of your customers. 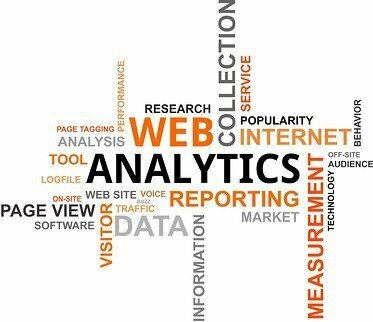 Your web hosting account and your analytics service produce between them a vast amount of data about your website visitors. Looking at it to see how many people visited your site is worthless and meaningless. Inside the vast amount of data is detailed information about how your website visitors used your site. Mining that data gives you a clue as to what they are looking for and how they go about finding it. Analytics and data alone are not the solution that “big data” experts might make you think. Such information is only historical and doesn’t tell you what people actually want, rather it tells you what they did. Yet there are clues inside your data as to how your customers behave with your website. Regular analysis of that data will help you gain a greater picture of your customers. In short, understanding your customer behaviour online is a combination of gathering and analysing data and talking to people. Goodness me – that’s what people did in the “olden days”. Bring them back to your website and you will improve your sales. Such a nice blog to understand customer behavior online. Thanks for sharing .